In March, the Canadian government introduced a bill that would bring about sweeping changes to its copyright and trademark laws. This includes giving more power to customs and border protection agents without any judicial oversight. The move is intended to prevent counterfeit goods from entering the country, but has been criticized for being less about protecting Canadians and more about caving to American demands. With the U.S. dictating global intellectual property standards, the new legislation represents the return of ACTA and would pave the way for Canada to ratify the controversial international treaty. Over the years, the U.S. has been critical of Canada’s efforts in addressing trade in counterfeit goods and has been pressing for intellectual property reform. In the 2009 United States Trade Representative (USTR) Special 301 Report, Canada was placed on a priority watch list of countries that do not provide adequate intellectual property enforcement. As part of its 2013 Trade Policy Agenda, the USTR is now pushing Canada to comply with the Anti-Counterfeit Trade Agreement (ACTA). The multinational treaty is designed to standardize intellectual property laws around the world. Although it has been signed by a number of countries, including Canada, so far only Japan has ratified ACTA. It was the result of public pressure associated with risks to internet privacy and online freedom of speech which lead to ACTA being rejected by the European Parliament in July of 2012. At the time, many assumed that ACTA was dead, but it still remains a top priority for the U.S. and they are attempting to revive the discredited agreement by trying to get the six necessary ratifications for it to come into force. 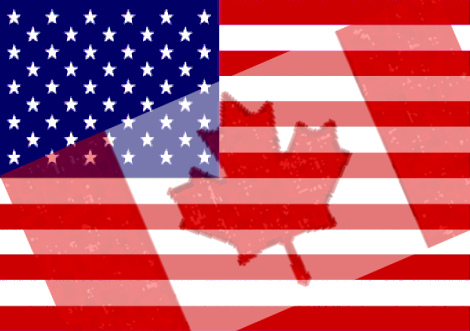 In an effort to satisfy U.S concerns, Canada recently announced legislation which is aimed at bringing them in line with ACTA. The Council of Canadians have questioned whether the anti-counterfeiting bill, “is one of the conditions the U.S. government put on Canada joining the Trans-Pacific Partnership (TPP) trade negotiations.” The group is urging that intellectual property rights be taken out of the TPP and the Canada-European Union (EU) Comprehensive Economic and Trade Agreement (CETA) talks. There have already been attempts to use CETA negotiations to sneak in parts of ACTA. Stuart Trew, trade campaigner with the Council of Canadians wondered since, “The Harper government seems to have just collapsed in front of U.S. demands for border enforcement of Hollywood’s intellectual property rights despite the global controversy with ACTA. Can we expect Harper to bend this easily to European demands in CETA and U.S. demands in the TPP that will increase the price of drugs and undermine access to affordable medicines?” ACTA also favours Big Pharma with patent protections that would limit generic competition and would lead to higher drug costs. On March 20, the USTR officially notified Congress of its intention to enter into negotiations with the EU on a Transatlantic Trade and Investment Partnership (TTIP) agreement. In the letter, they also outlined specific goals in different areas such as intellectual property rights. As part of the transatlantic talks, the USTR, “Seek to obtain, consistent with U.S. priorities and objectives, appropriate commitments that reflect the shared U.S.-EU objective of high-level IPR protection and enforcement, and to sustain and enhance joint leadership on IPR issues.” A Civil Society Declaration signed by European and U.S. groups is insisting that the upcoming negotiations, “exclude any provisions related to patents, copyright, trademarks, data protection, geographical indications, or other forms of so-called intellectual property. Such provisions could impede our rights to health, culture, and free expression and otherwise affect our daily lives.” Some have warned that the TTIP could be used as a way to implement ACTA through the backdoor. ACTA is part of the international agenda of patent, trademark and copyright lobbies. The agreement favours big businesses over individual innovators and creators. It was designed to protect the interests of multinational corporations at the expense of fundamental civil rights. ACTA is being used by the U.S. to pressure other countries into adopting a new global standard for intellectual property enforcement. The supranational treaty would impose draconian laws which threaten the sovereignty of member nations.